Four women who received womb transplants have had embryos transferred into them in an attempt to get pregnant, according to their Swedish doctor. 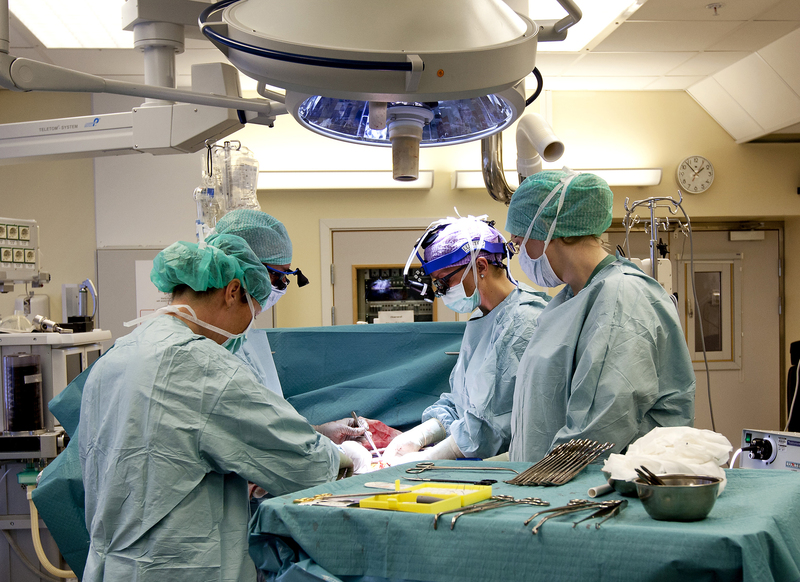 Last June, the Swedish medical team at the University of Gotenborg had announced they had transplanted donated wombs into nine women since 2012. The transplants are intended for women unable to have children because they lost a uterus to cancer or were born without one. "We have already begun transferring embryos into four of the women and plan to make attempts with the others when they are ready," said Dr. Mats Brannstrom, a professor of obstetrics and gynecology, who is leading the research. He would not say on Monday whether any of the women are pregnant. The nine women had received wombs donated by their mothers or other close relatives in an experimental procedure designed to test whether it's possible to transfer a uterus so a woman can give birth to her own biological child. The women underwent in-vitro fertilization (IVF) before the transplants, using their own eggs to make embryos. Brannstrom predicted that three or four of the seven women might successfully give birth. "One or two more will perhaps get pregnant and miscarry and one or two won't be able to get pregnant," he said. There have been two previous attempts to transplant a womb -- in Turkey and Saudi Arabia - but both failed to produce babies. In May 2013, doctors announced Turkish woman Derya Sert, who had undergone a uterus transplant in 2011, lost her pregnancy at eight weeks after doctors could not find a fetal heartbeat. At the time, the hospital said she would begin fertility treatments to try again. Doctors in Britain and Hungary are also planning similar operations, but using wombs from dead donors. Brannstrom said any woman in the study who does get pregnant will be on a low dose of drugs to keep from rejecting the transplanted womb and will be monitored as a high-risk pregnancy. Some doctors said women who got pregnant with a new uterus would have to be watched carefully for how the womb progresses throughout pregnancy. "There are questions about how the physiological changes in the uterus will affect the mother and whether the transplanted uterus will be conducive to a growing baby," said Dr. Charles Kingsland, a spokesman for Britain's Royal College of Obstetricians and Gynaecologists. In a study published last week, Brannstrom and colleagues described the procedures used to transplant the nine wombs and said there were "mild rejection episodes" in four patients. Of the nine who got transplanted wombs, two had to have them removed because of complications. Brannstrom said the transplanted wombs would be removed after a maximum of two pregnancies. Other experts called it a promising step but said it would be crucial that babies get enough nutrients from the mother's blood supply. "We really don't know if the blood flow to the uterus will increase and adapt in the same way," as in a regular pregnancy, said Dr. Yacoub Khalaf, director of the Assisted Conception unit at Guy's and St. Thomas' hospital in London. "It is a good sign they have done the (embryo) transfers," Khalaf said. "But a live birth will be the best validation that this works."